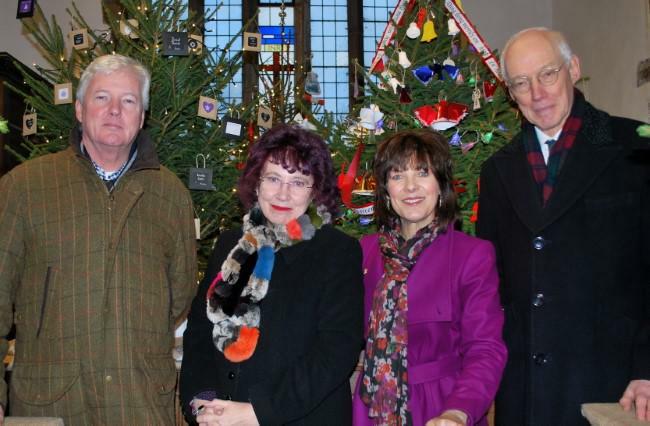 Tyne Tees television personality Pam Royle has described this year’s Christmas Tree Festival in Sedgefield’s ancient St Edmund’s Church as ‘a stunning success’. She praised those who had produced the 47 ‘absolutely splendid’ displays and commented: “I thought the first festival two years ago was really wonderful but this year you have really excelled yourselves with some truly imaginative interpretations of A Carol for Christmas”. Pam, a popular visitor to Sedgefield, officially opened the festival and headed the judging panel which included her husband, Mike, and church members Melanie and John Fordham. Lay Reader Michael King later described the free, six-day event as ‘a great example of the community spirit evident in Sedgefield’. There was special praise from both Pam and Michael for those who sponsored the trees and also for organisers John Burrows, Anne Eyley, Audrey Flanagan, Michael King, Julie and David Latheron, Brenda Moore, Julia Rowsby and Rachel Stephenson who welcomed Pam to the festival. First: Sedgefield Harriers with a much-admired display of the Twelve Days of Christmas which featured characters and birds created from wooden clothes-pegs. Joint second were ‘Escape’ and Sedgefield Women’s Institute, with St Edmund’s Choir, Sedgefield Squash Club and Sedgefield Flower Club equal third. In the business community section, ‘Peridot’ speciality gift and interiors shop in Sedgefield took first prize with an exquisite, all-white and silver display depicting ‘In the bleak mid-Winter’. Joint second were ‘From Loft to Loved’ and Sainsbury’s Sedgefield store and in third place were Clifton Lodge Vets and ‘Betty’s Boudoir’. Judges added an extra award for the Number Four Teashop with its dramatic interpretation of ‘We Three Kings’. 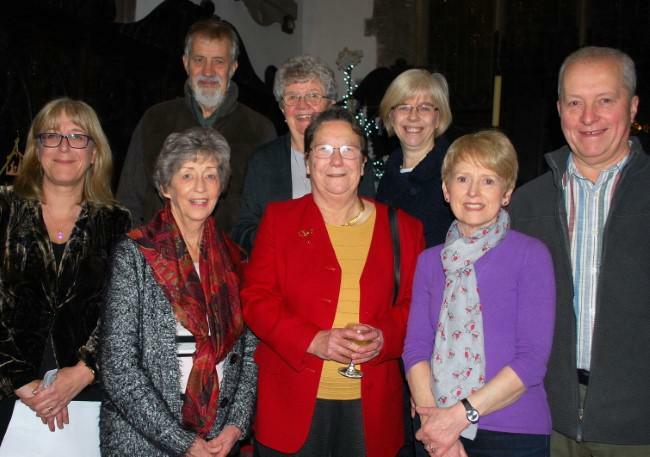 The festival will benefit two local charities – the Great North Air Ambulance and the Church Roof Appeal to replace lead stolen from the church in 2017. Though sufficient funds have been raised to cover the cost of replacing the lead with a stainless steel lead lookalike, money is still needed for restoration and redecoration work in the interior of the North Transept which was damaged by water seeping through the roof before the lead theft was discovered. A short service of carols and prayers in a crowded St Edmund’s Church before the traditional Snow Parade on Saturday afternoon was led by Michael King and Panny Pighills with Alex Ord as accompanist. Footnote: Parish Administrator and Festival team member Rachel Stephenson said later that a review of the festival early in the New Year would include visitor requests to make the Christmas Tree Festival a biennial event.